Bob Gimlin; an icon in the Bigfoot world. 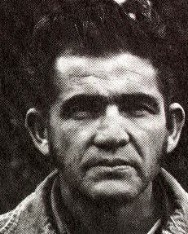 He was a part of the infamous Patterson-Gimlim footage which is now an integral part of Bigfoot history. The living legend will be speaking this weekend at the Ohio Bigfoot Conference taking place in Salt Fork Park. Listen in as Bob gives his description of the Bigfoot they saw that became known as "Patty". bob gimlin is the coolest guy ever! big heart, still rockin'it after all these years, knows what he knows and appreciates the support. could listen to him talk anytime, anyplace!